Smile Characteristics – Cosmetic Dentistry — Dentist in Santa Barbara, CA | Dr. Mark T. Weiser D.D.S. 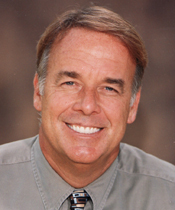 Dr. Weiser is Santa Barbara's Smile Artisan. These critical characteristics help you understand your smile’s needs and helps you compare and choose exactly the smile characteristics that are important to you. Shade – We make sure that your smile suits your hair color, skin tone and the particular hues of your eyes. Shape – Every smile we design is based on the principles of the “Golden Proportion” so your smile compliments your bone structure and body type. Style – We believe that if your smile doesn’t feel comfortable and natural, it can’t possibly look good. Sensation – The way your smile functions, feels and smells is an indication of your overall oral health. The 4Ss are the key characteristics of smiles: shade, shape, style and sensation. Taking a few minutes to learn about them will make your dental experience smarter, easier and more enjoyable. Not only will you know the exact smile design you’re considering, but you’ll be confident that you’re taking the right steps to achieve your goals. The 4Ss give you the information you need to compare the characteristics of your smile that are important to you. A smiles shade is measured in opalescence. But keep this in mind: whiter isn’t necessarily better. A smile that is too white is not nearly as beautiful as a natural color look to your smile, whitened by a skilled dentist’s eye. The point is, to be exceptionally beautiful and healthy, a smile must be of high quality in all 4Ss. Style: People commonly refer to their mouth as their smile (teeth, gums, breath control, and overall appearance) . But smile really is the esteem created by the individual. The dentist attempts to create a smile to fit your persona. Shape: When a smile is created in good proportions, it reflects from one corner of your smile to the other, and then reflects on those around you. When a smile is crafted in disproportion, it can have reverse affect on you as a person and not reflect the true prestige you deserve as an individual. In addition, the smile must be created with you in mind for incredible beauty. "While you may have certain preferences when it comes to smiles, all 4Ss should be taken into account before you decide on your dental solution . In the end, if you want a whiter smile, you may prefer teeth whitening. If precision all around is most important, you may want to consider, porcelain veneers. If a smile is designed poorly, it will appear less appealing because it will lack design, proportion, fit and, therefore, beauty. The art of smiling has evolved thanks to new dental state-of-the-art technology and innovations. A modern smile, such as the Weiser Smile delivers beauty and prestige. Sensation is the natural feel of your smile and is one of the Ss determined completely by how well you maintain your mouth. As a rule, the more sensitive a smile is, the more urgent it may be you seek assistance from your local dental professional. Smile sensitivity has a range of feel from sensitive to ultra-sensitive. You may be affected by hot or cold, or even the slightest touch or air. The more sensitive your mouth feels the more urgent it may be for you to seek assistance from a dentist. "Fit is critical for a smile’s maximum potential for beauty and impact, your smile must be designed for YOU by your dental professional. So which of the characteristics of smiles is most important? The choice is yours, but make it an educated one." Smell is an indication of a smile’s overall oral health. When a smell is released from the mouth, it may be caused from plaque and bacteria, tiny traces of natural odor causing plaque may be trapped inside your mouth. These elements may be caused by gingivitis, though sometimes referred to as bad breath, because they are formed by bacteria we can help you detect your problem and solve it to protect you from the embarrassment of embarrassing breath “embarrassing breath” to “Professional Breath Control”. Because most odor causing bacteria is not visible to the naked eye, a dentist will use special techniques to determine the source of your breath issue. Which Smile Characteristic is Most Important? While you may have certain preferences when it comes to smiles, all 4Ss should be taken into account before you decide on your dental solution . In the end, if you want a whiter smile, you may prefer teeth whitening. If precision all around is most important, you may want to consider, porcelain veneers. Fit is critical for a smile’s maximum potential for beauty and impact, your smile must be designed for YOU by your dental professional. So which of the characteristics of smiles is most important? The choice is yours, but make it an educated one. "Are You Ready for a Perfect Smile? I have created hundreds of beautiful, life-changing smiles. You will love our pampered environment, our warm, caring team and absolute commitment to your new fabulous smile."